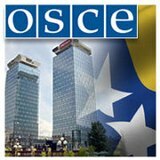 From my former student Christopher Engels, head of Judicial and Legal Reform Section of the OSCE Mission to Bosnia and Herzegovina of the Organization for Security and Co-operation in Europe, comes news that his section welcomes applications for the position of Legal Adviser on War Crimes and the Rule of Law. Details may be found in the complete version of the job notice, here. Deadline for applications is March 27, 2013.